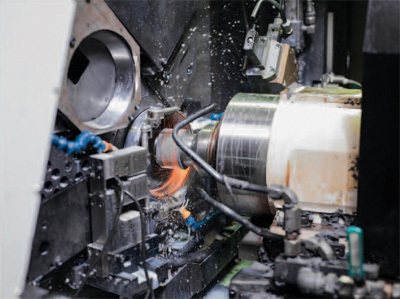 The OD grinding process is carried out using imported machine of reputed make, Microsa- Germany. The OD is the reference diameter for the next stage of track grinding, where the grinding is done with shoe centerless system. So the OD accuracy helps in building a good accuracy on track also. The grinding machines have CNC program to achieve logarithmic profile for Inner ring raceway and crowned profile for Inner ring Lip and Outer ring raceway. The super-finishing machines have program for super-finishing of Outer Ring raceway with crowning, Inner Ring Lip with crowning and Inner ring raceway for logarithmic profile. 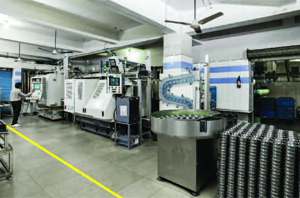 Turbo has installed fully automatic, inter-connected manufacturing lines with CNC grinding as well as CNC super finishing machines, for Tapered Roller Bearings, Cylindrical Roller Bearings as well as for Ball bearings. 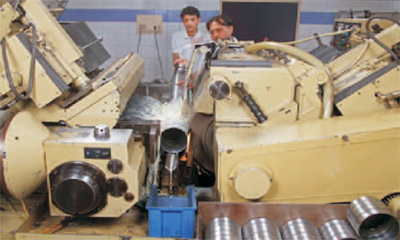 The lines are equipped with In-process gauges as well as post process gauge for consistent quality. Size and geometrical tolerances are achieved with high accuracies. 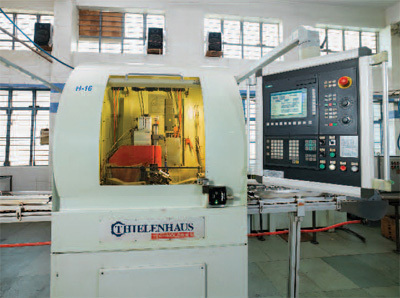 TURBO has excellent super finishing machines of THIELENHAUS (German Technology), to achieve high degree of surface-finish accuracy of raceways and lip. 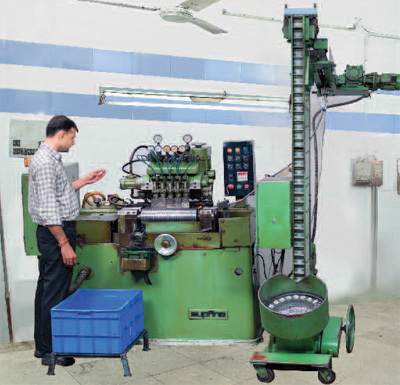 These machines are equipped with special cycle to generate logarithmic profile. 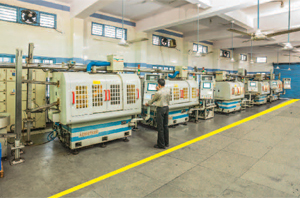 TURBO has world renowned super finishing machines of Supfina-Germany make for super finishing of rollers, which gives improved surface finish on roller, along with cambered profile - a unique feature with supfina machines. Each one of our CNC machines are equipped with controls of an In-process gauge (IPG) of reputed make of "Marposs-Italy". The part is continuously measured during the grinding process by Marposs IPG system, which ensures perfect size control in extremely small dimensional tolerances, in the middle of the tolerance zone and thus helps in achieving zero defect target. 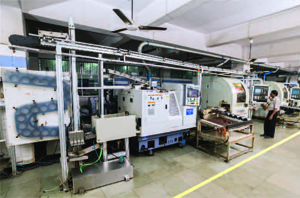 Each of our CNC Automatic manufacturing lines are equipped with Marposs (Italy make) post process gauging equipments. 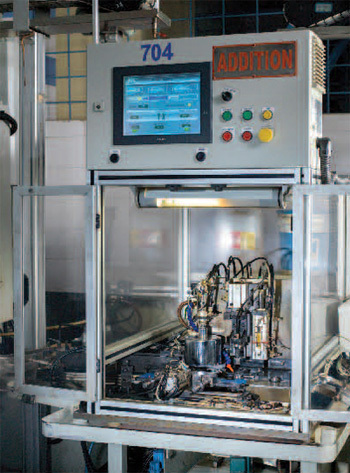 This is automatic inspection machine, which prevents acceptance of any defective part and prevents them passing on to the next operation. Hence, it ensures zero defect supplies to customer. 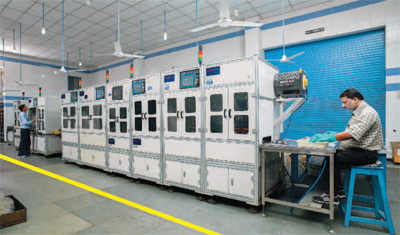 These machines have computerized facility to store and analyze the inspection results for monitoring the process by statistical quality control (SQC). The screen shows X-BAR and R-Charts (mean and range charts). Through continuous observations of Cp and Cpk values, we ensure that process is stable and quality is controlled within very close tolerance range. 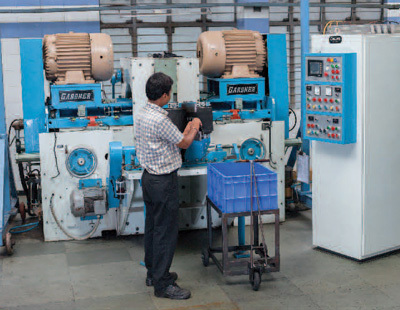 This equipment has facility to provide on-line feedback to the Inprocess gauges of the grinding machines, based on the actual and continuous observations of the parts manufactured (Feedback Loop). This feedback helps control of subsequent components within specified limit. Thus this equipment, not only monitors the process (SQC), but also improves the process (SPC). 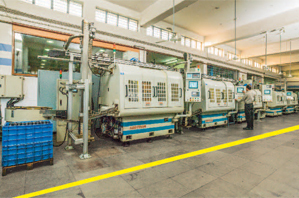 Our fully automatic assembly line includes demagnetizing, washing, inspection for dimensional as well as visual parameters (roller missing), Vibration Testing, Laser Marking, drying and oiling. All these operations are fully automatic and inter-connected. The dimensional inspection is carried out by PULCOM (Japan make) gauges. 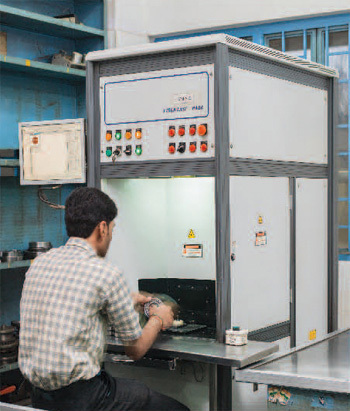 Our assembly operations are carried out in a complete enclosure and dust-free environment. TURBO has Laser markeing machines (IPG - German Make), which apart from marking the bearing number, also used for marking the Batch code (month and year code) on the bearings. This ensures the traceability of TURBO bearings up to field life.